The situation with respect to cannabis laws in the USA is extremely complex. Quite simply, cannabis use, possession, cultivation, and sale are illegal under federal law under the Controlled Substances Act (CSA) of 1970. Cannabis is listed as a Schedule I or forbidden substance, a category for drugs that are deemed dangerous, addictive and have no recognized medical use. Challenges to this law, whether legislative or through litigation have been frequently mounted in the ensuing decades, but none have succeeded. Four surviving patients in the Compassionate Use Investigational New Drug Program have exemptions from this law, and receive cannabis directly from the government for their medical conditions (see: Russo, E.B., M.L. Mathre, A. Byrne, R. Velin, P.J. Bach, J. Sanchez-Ramos, and K.A. Kirlin. 2002. 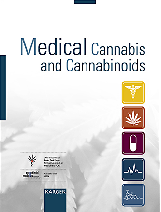 Chronic cannabis use in the Compassionate Investigational New Drug Program: An examination of benefits and adverse effects of legal clinical cannabis. 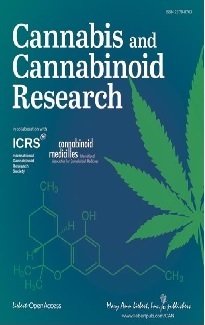 Journal of Cannabis Therapeutics 2 (1):3-57.). State and local laws vary widely in the USA and are a constantly moving target. Colorado and Washington State have legalized cannabis use for adults, at least for possession of small amounts. Elsewhere, possession may result in a fine or lesser penalty in some states, while others deal more harshly with such offenses (see links below). Numerous states have legalized the cultivation of industrial hemp, but this also remains illegal according to the Drug Enforcement Administration (DEA) interpretation. A semi-synthetic cannabinoid, nabilone (Cesamet®) is in CSA Schedule II, requiring monthly written prescriptions without refills, for treatment of nausea associated with cancer chemotherapy. Average price of Cesamet is $20 per 1 mg capsule. Sativex oromucosal cannabis-based medicine remains Schedule I and illegal to possess in the USA except for patients enrolled in FDA-approved Phase III clinical trials for cancer pain unresponsive to optimized opioids, or for treatment of spasticity in multiple sclerosis. A cannabidiol extract, Epidiolex, is also being tested in Phase II clinical trials for treatment of intractable seizures (epilepsy) in children in various centers across the country. Details are available here or here. Under Conant vs. Gonzalez, the US 9th Circuit Court of Appeals (Western States) ruled that physicians may discuss clinical cannabis usage with patients without risk of arrest or sanctions on their licenses to practice medicine. Since this has not been appealed or adjudicated elsewhere, it is the effective law of the land. In Ashcroft vs. Raich, the US Supreme Court asserted federal control over the legal status of cannabis, but did not strike down existing state laws on medicinal usage. In essence, this creates a mismatch between existing laws in certain states where medical cannabis is legal under certain conditions, but remains illegal under federal law in all 50 states. Confusion and contradictions abound. In some areas of the USA, cannabis usage may appear legal de facto, while in truth, anyone can be arrested anywhere at any time under federal law. Incremental changes in municipal and state laws continue, but federal reform efforts have fallen short in every instance. Public opinion polls typically endorse medicinal usage of cannabis by margins of 60% or more. Legal availability of cannabis prescription medicines is anticipated in coming years.